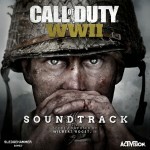 Wilbert Roget’s original score for CALL OF DUTY WWII was nominated by the Academy of Interactive Arts and Sciences for Outstanding Achievement in Original Music Composition at the 21st D.I.C.E. Awards and won Best Original Instrumental, Soundtrack Album, Interactive Score and Music of the Year at the 2018 Game Developers Conference! Learn more about his scoring process in the March 2018 issue of POST magazine.